After-sun cream is able to repair sun skin, soothe and moisturize it. Besides the correct cream prevents flaking and helps keep the beautiful Golden hue of the face and body. You can buy the emulsion cream-gel or lotion - it all depends on individual skin characteristics and your preferences. Many girls wrongly neglected means after sunburn. However, these creams and gels are able to minimize the negative consequences of staying on the beach. Under the influence of hot sun, salt water and wind, the skin may become dry, peel off and experience the discomfort. Regenerating after sun will soften it, remove irritation and redness and helps to cool off after sunbathing. 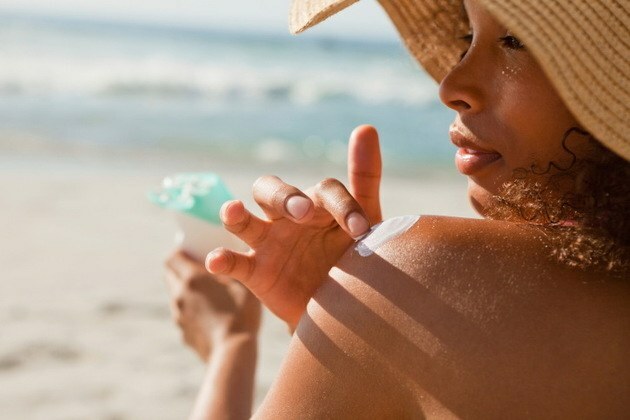 To buy after-sun cream at the pharmacy, cosmetic store or even at the supermarket. Brand recognition and the cost does not matter, it is worthy of funds can be found in any price category. Even a simple cream will moisturize the skin and relieve discomfort. If you want to have greater impact, choose creams drugstore brands. They are able to cope with micro-burns, remove flaking and redness, get rid of an allergic rash. In addition, these tools deeply moisturize the skin preventing dehydration and wrinkles. Rate composition. In the formula of the cream can enter the intensive recovery complex, panthenol, allantoin, plant extracts and herbs. Creams after tanning do not contain acids, essential oils, paraben, alcohol, and other components that can irritate sun-skin. Many creams include cooling ingredients such as menthol or aloe. Such means is very pleasant to use after a day in the hot sun. Pay attention to the texture. Usually creams after sun very light, semi-liquid. They do not require rubbing, quickly absorbed and does not leave your body sticky film. You can choose a liquid, gel or moussavou texture. Make sure that the cream does not contain a large number of odorants. A good tool must be unobtrusive, quickly disappearing scent. Select a convenient package. This can be a tube, bottle or spray dispenser. The soft tube is particularly useful - they allow you to use the tool till the last drop. Do not buy too large packaging, it is uncomfortable to take with you to the beach. Remember that after the opening of the cream should be used within 3 months. Buying any cream, apply it correctly. Lubricate the face and body after sunbathing and before going to sleep. Do not leave the bottle of cream in the sun. Keep the agent can be in the refrigerator, so it will be nice to cool sweaty skin.